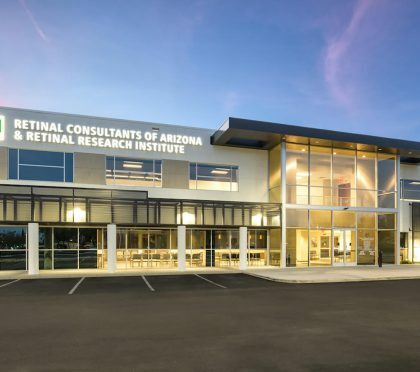 Cawley Architects and LGE Design Build recently completed construction of this 11,740 SF primary healthcare facility in Phoenix Arizona. A primary design feature throughout is the extensive distribution of natural light into all provider and office areas. The facility also features high ceilings of natural wood and vinyl wood plank flooring. Overall, the facility provides spaces for 9 providers, 20 exam rooms, 8 nurses stations and relaxing areas for patient waiting. The project was designed, permitted, constructed and occupied in 14 months.